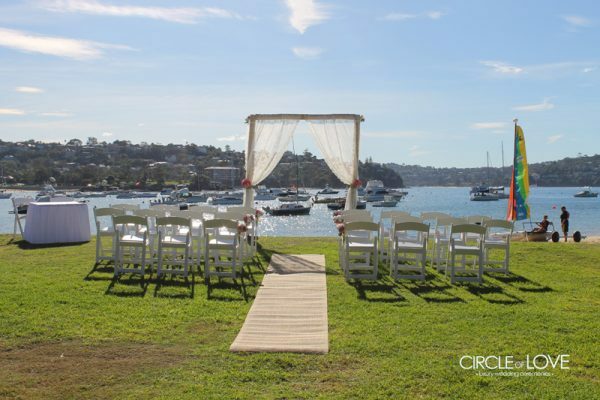 Located at the South end of Balmoral next to the Sailing Club, Balmoral Reserve South offers views over the beach without getting sand between your toes. 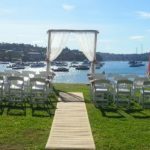 Bookings and permit info can be found on the Mosman Council website. There are several restaurants close by for a spectacular waterfront Reception. Bather’s Pavilion, a historic building sensitively renovated to contemporary comfort. 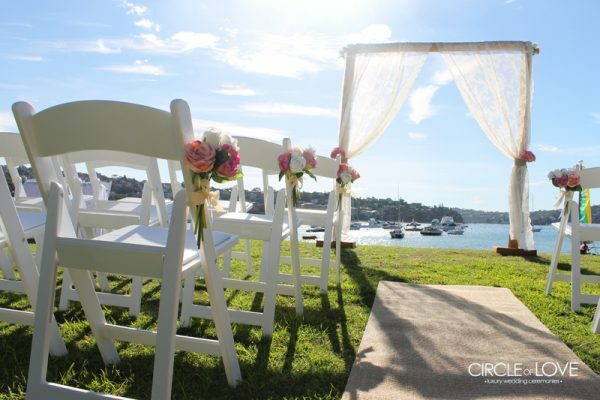 There are 2 venues to suit your style ~ The Terrace has a view over Balmoral Beach towards Sydney Heads ~ ideal for a cocktail style Wedding. The Room has walls covered with 1200 sheets of silver to capture the feel of the water through the unique, original, box windows. 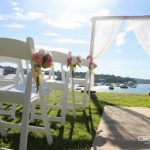 The Public Dining Room offers uninterrupted views across Middle Harbour towards North Head and Manly and encompasses the very best of Sydney’s iconic beach culture. 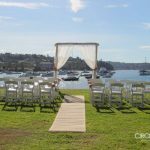 The space offers a relaxed yet elegant atmosphere both indoors and under the dappled light of the spectacular Moreton Bay Fig Tree on the adjoining Terrace.